The genuine simplicity that the whole world recognizes the Tuscan food production is also alive in its hams. The flavors of the meat, the typical aromas of Tuscany such as bay leaves, rosemary, juniper berries with garlic and pepper are the secret ingredients of producers recipes. Nature, climate and passion of the producers have been able to create and maintain originally different flavor of Prosciutto Toscano PDO. The tradition of producing hams in Tuscany has its roots in the habit of slaughtering peasants in winter the fattened pig in the previous months. The production area indicated in the specification of Prosciutto Toscano PDO. It includes the entire region of Tuscany. The traditional production process includes, after selecting and trimming the thighs, dry salting with the use of sea salt, pepper and other plants typical of the territory of origin. The salting – which lasts about 3-4 weeks – is followed by pre-curing, during which the ham into a progressive dehydration and slow and gradual maturation of the meat. After about six months of the beginning of the processing, all the hams pass to the phase of sugnatura (smearing a mixture of minced pork fat with the addition of wheat or rice flour, salt and pepper, called sugna). From this moment begins the maturation phase – at least 10 months – in special micro-climate controlled rooms, where the hams will get all the aromas and special flavors that distinguish the Prosciutto Toscano PDO. It goes well with Tuscan bread (a bread without salt), but also sweet and juicy fruits such as melon, kiwi, pineapple and figs. 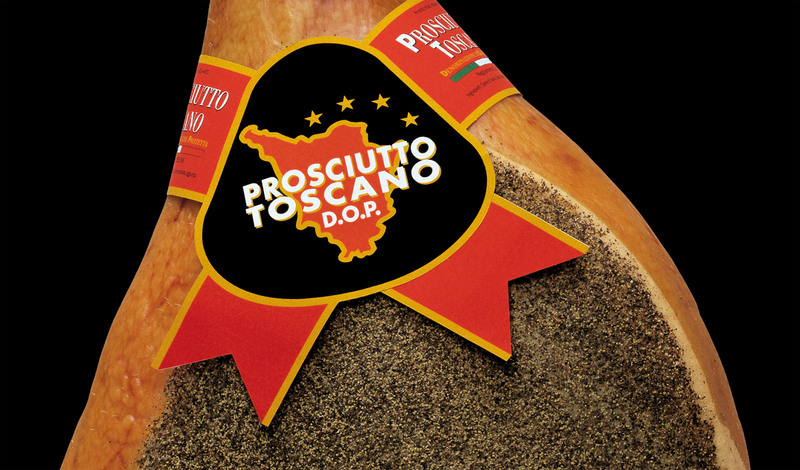 In Prosciutto Toscano PDO are collected experiences of ancient Etruscans, population who loved good life and eating well. When about 2800 years ago their ancestors, who fled to a great famine from Lydia (ancient region of Asia Minor), arrived in central Italy, a land rich in wild pigs, they could preserve meat by salting it – and especially the thighs: that’s how they invented ham. 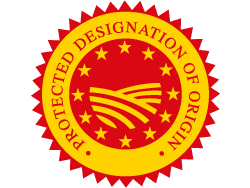 Protected Designation of Origin (PDO) it recognized with Reg. EU will Reg.to EC n. 1263 02.07.1996.